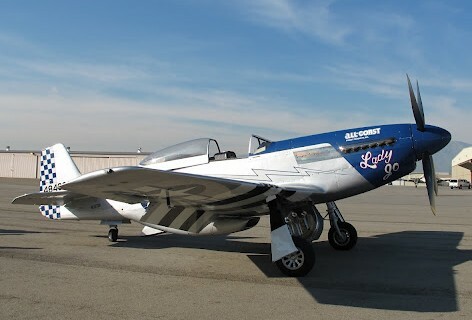 Century Aircraft Painting - Let us take your Aircraft from "PlaIn" to Beautiful! ﻿ A high quality and specialized airplane detailing job certainly preserves the life and appearance of your aircraft and makes the aircraft look as good as a new. The majority of aircraft owners, operators and pilots prefer to have aircraft detailing performed by an expert company like Century. We have the right staff, knowledge and expertise to offer the highest level of quality and customer services available in the aviation industry for all your aircraft detail needs. ﻿Benefits of Aircraft Detailing - improved performance As aircraft get exposed to extreme conditions the paint is damaged or faded. Professional paint touch up, waxing and polishing of the aircraft surface not only improves the look by restoring the shine on the paint of the aircraft, it also improves the performance by reducing the drag resulting in faster speeds and reduced fuel consumption. Increased value and cost savingsRegular cleaning and detailing of aircraft help maintain or even improve the overall value of your aircraft and can prevent corrosion. Additionally you can experience significant cost savings by postponing future full paint jobs. ﻿ ﻿﻿﻿The art of polished metal﻿﻿﻿We have been working hard to master our brightwork technique to polish your leading edges, inlets, spinners and all other metals to a mirror image. A high quality and specialized airplane detailing job certainly preserves the life and appearance of your aircraft and makes the aircraft look as good as a new. The majority of aircraft owners, operators and pilots prefer to have aircraft detailing performed by an expert company like Century. We have the right staff, knowledge and expertise to offer the highest level of quality and customer services available in the aviation industry for all your aircraft detail needs. As aircraft get exposed to extreme conditions the paint is damaged or faded. Professional paint touch up, waxing and polishing of the aircraft surface not only improves the look by restoring the shine on the paint of the aircraft, it also improves the performance by reducing the drag resulting in faster speeds and reduced fuel consumption. Regular cleaning and detailing of aircraft help maintain or even improve the overall value of your aircraft and can prevent corrosion. Additionally you can experience significant cost savings by postponing future full paint jobs. ﻿﻿We have been working hard to master our brightwork technique to polish your leading edges, inlets, spinners and all other metals to a mirror image. ﻿DRY WASH - The underside of the aircraft, leading edges, landing gear, and nose are degreased and bug strikes are removed. Each panel of the aircraft is then hand polished and buffed using an environmentally friendly dry wash compound. BRIGHT WORK - This is a process that brings all raw metal surfaces on the exterior of the aircraft to a mirror polish. The struts and tires are cleaned, then dressed. SEAL AND POLISH - Our paint seal and polish system provides unparalleled protection against the elements. First any paint oxidation is removed from the exterior painted surfaces, and then a polymer based sealant is applied, which actually bonds to the surface of the paint, providing a long lasting shine. Seal and polish services include an exterior and interior wipe down. QUICK TURN SERVICE - Quick turn service is a basic wipe down of the exterior trouble areas. Leading edges, windshields, engine inlets and the nose of the aircraft is cleaned free of bug strikes. The sides and bottom of the engines along with the aft of the aircraft is dry washed clean of oil and other fluids. A light wipe down of the landing gear is performed as well as an interior wipe down and vacuum. WET WASH - The entire exterior of the aircraft is washed and dried by hand. A wet wash involves the use of scrubbers and water. Included with the wash service is a basic wipe down of the interior. The struts and tires are cleaned, then dressed. SPECIAL ORDER - GEAR WELL CLEANING - this is often an area to maintain that is overlooked but it's very import for your aircraft's well being. Our gear well service eliminates the build up of grease and grime that can gather in your gear wells over time. We are a full service painting & aircraft detailing company, catering to private and corporate jet clients with the most demanding needs and schedules. We offer everything from quick turn service to complete aircraft detailing, bright work and full interior services including cabinet wood work and fast exterior aircraft painting touch up as needed. ﻿Please contact us for scheduling your aircraft exterior & interior detailing or cleaning services! ﻿The materials and fabrics in your aircraft are some of the most expensive anywhere! ﻿Interior detailing includes all leather cleaned and conditioned along with a full interior cleaning of cabin and cockpit, lavatory and galley areas. This is a meticulous cleaning and disinfecting of all areas including removal of contents in cabin drawers and washing all galley china, glassware and utensils. We take extra care to safely, but effectively clean the cockpit area to exceed crew expectations.